Optimal position for their primary function and redesigned to blend in seamlessly with the shape of the vehicle. Thanks to their new design, despite their compact size, they offer 40% more light efficiency. 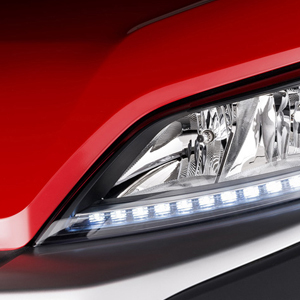 The (optional) DRL LED headlights afford greater durability, low energy consumption, reduced fuel consumption and a unique style. be sturdier and easy to replace. The driver’s seat is extremely adaptable: you can adjust the height and the lumbar area, move the seat backwards and forwards and adjust the position of the steering wheel, to ensure you always benefit from the most comfortable and correct driving position. The seat can also be heated, sprung, and equipped with an adjustable armrest. 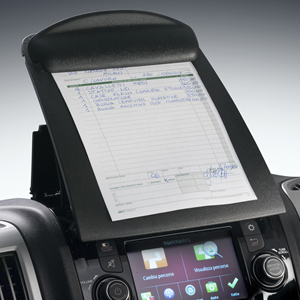 The controls and indicators are all easy to reach and can be operated thanks to the new ergonomically-designed dashboard with central console housing the new built-in radio, the practical tablet holder, a convenient bottle holder or, alternatively, a large compartment which can be used to store a 15.6” laptop. The instrument panel, with white graphics on black background, was designed to afford maximum readability and visibility of all the necessary information. As an alternative to the single passenger seat, you can also opt for a double bench seat. three dashboard trim options – the more sophisticated Lounge, or the feisty Technooption. 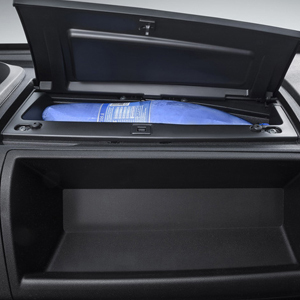 Coolbox: roomy compartment at the top which keeps food and drinks cool when the air conditioning is in operation. On the two-seater bench version, the central section of the backrest folds down to create a convenient surface complete with document holder, as well as two cupholders which can also be used to store pens. A practical shelf designed to house two 0.75 cl bottles and a smartphone in an easily accessible position away from direct sunlight. Alternatively, you can opt for a practical storage compartment with flap and key, large enough to store a laptop with a fino a 15.6” display. 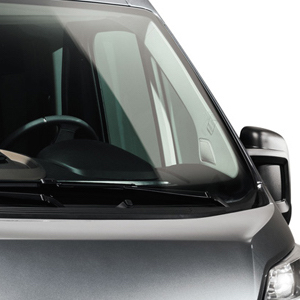 One of the new exclusive features of the New Ducato. 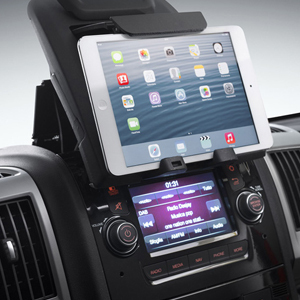 Owing to a unique design, it can hold any tablet or smartphone (with a display of up to 10”), in addition to pads of paper. Reflects infrared rays, keeping the passenger compartment cooler: up to 15° lower than a vehicle with a normal windscreen. Reduces the use of air conditioning, thus reducing fuel consumption and enhancing comfort. the larger sized condenser and its mixer system optimise the time required to cool the passenger compartment. automatic climate control system with ray sensor. Heats the engine and the passenger compartment quickly, improving on-board comfort even in the harshest climates. 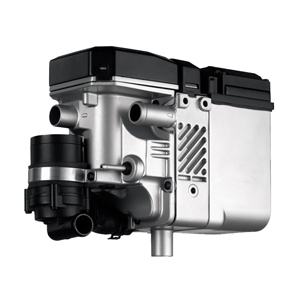 preheat the engine, reducing polluting emissions and fuel consumption.